In our experience, there are some common issues that crop up time and again when companies get started with video production projects. Here’s our breakdown of what can go wrong, and how to avoid these types of problems. If you are new to the world of video content marketing and branding, the options can be overwhelming at first. The production process itself can seem opaque, with an endless assortment of vendors to choose from, equipment names that may mean nothing to you, and seemingly infinite platforms and formats to consider. You may have dipped your toe in the pool with the simple idea of “I’ll make a video, put all of my messaging into it, and set it loose in the wild”. For many companies, this is as far as they get during the planning stage. Then, when they run up against obstacles or have trouble tracking the returns their videos provide, they get discouraged. The first alternative that may come to mind is to try to reduce cost of your video productions. The reality is that you shouldn’t cut too many corners when it comes to video. Often, these shortcuts will end up costing you more in the long run. For instance, shooting at a lower quality will quickly make your video look dated. Bad lighting, poor audio, or shaky footage can also torpedo an otherwise sound idea for a video. Instead, sometimes the best way to maximize the value of your video production is to create more than one video from the same footage, and to plan for that goal from the very beginning. While this may not work with all video productions, it can be a powerful tool in the right situation and result in more effective videos that target specific people in your audience. With that in mind, here are a few tips to get you started. Who specifically you are talking to, and what interests them? To produce a video that resonates, you need to understand your audience. It may even be worth your while to create specific viewer personas to help you finesse your messaging. Compile information about viewer demographics, location, devices, and any information you can find about where they like to hang out online. Do they read certain publications? Which social media platforms do they use? What kind of content does well on those sites? The more details you have about your intended audience, the more likely you’ll be able to produce an engaging video for them. Now that you know who you’re talking to, consider what you want to say to them. One of the most important pieces of advice when it comes to producing videos is to pare down your messaging, especially if it’s a broad overview or general branding video. One mistake businesses make when they’re new to the world of video production is cramming all of their talking points into a single video and then dropping it onto their home page. This doesn’t work for a number of reasons. First, by diluting each message with other messages that may not be relevant to the viewer you are engaging, you are weakening all of them. Also, your video will likely run too long for modern internet attention spans, especially for viewers mismatched with your format. For instance, C-level viewers at a large corporation will want a video they watch to be much shorter than a detail-oriented engineer might. • High-level viewers – these could be CEOs or they could be the average customer who just wants a mile-high view of your offering. • Edification viewers – these people may be more interested in what your customers or professional reviewers have to say than anything else. • Technical viewers – these viewers want to get into the nitty gritty of what your company does or how its products and services work. Once you have some target audience members and interests mapped out, you can jump into the most important phase of any video production: planning. For each kind of viewer, pick a few pieces of messaging that you absolutely must convey to them. This could be as simple as how you want them to feel about your brand, or it could be as detailed as specific technical aspects of your offering that are vital for a customer to understand. • High-level viewers – brand “tone”, emotional story, establishing visual language of your business. • Edification viewers – show customers getting results, show real world examples, show smiling, happy faces. • Technical viewers – product shots, detailed close-ups, shots that show process or “how to”. Once you have these kinds of details mapped out, you can start to look for overlap between them. This can be covered in the scriptwriting phase, or it may be useful to do it through rough storyboards or shot lists. A good video production company should be able to assist you with this part of the planning process, but you may find it beneficial to do a pass on your own. After all, no outside vendor is going to know your business and your product or service as well as you. Being able to hand them a list and show them exactly what you want is going to be an invaluable resource. So what kinds of elements of a video might overlap between these viewers? Showing customers achieving results and their smiling faces lines up well with creating a brand tone and emotional story, for instance. Detailed close-ups and product shots can establish visual language as well as show real world examples of customers using your product. The more you look at your messaging in this way, the easier it becomes to see multiple purposes for all of the shots you will need to acquire on the production day. Once you have some experience with this process, you’ll be doing it automatically when you create video concepts. Now that you have a list of shots that coincide with each audience, you can begin writing your scripts. This could include anything from questions to ask existing customers in order to capture sound bites to a voiceover script—in fact, it will be probably include both for this process. Take your shot lists and place them alongside the different voiceovers and you will start to see a blueprint emerge. You now have three scripts: the high level “emotional branding” video, the customer-focused video and the technical video. Each will use many or all of the same visuals, each spun in different directions by voiceovers or sound bites. One final piece you will need is the roadmap for sharing your content. Since you have gone through the trouble of planning out videos that target and appeal to specific viewers, you want to be intentional with where and how you share your videos. Short, promotional videos are ideal to share on social media. There, they can build brand awareness and help you reach new audiences. Whether you’re using your videos in ads, or sharing them with specific groups or hashtags, you can be very targeted while still reaching a broad audience. Your longer videos that tell more of your brand story likely belong on your website or blog. 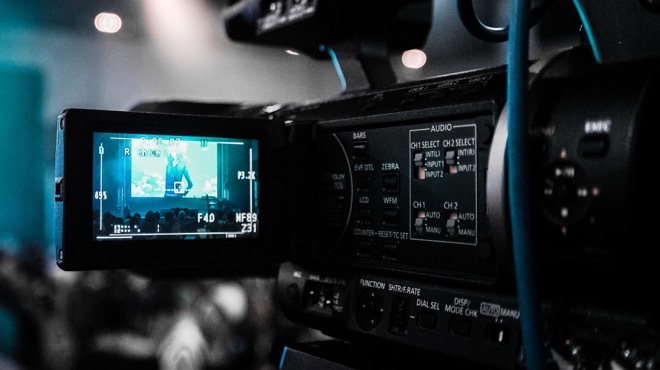 A professional video hosting provider will offer the tools you need to ensure the videos help bolster your on-site SEO, while engaging viewers and keeping visitors on your website. Tools like custom post-play screens or email capture can help continue the conversation once you catch their eye. This is where a professional video production company comes in. After sharing your plan with them, it will be up to them to ensure the logistics of shooting and the scope of the required footage is manageable within your budget and time constraints. Adjustments to the scripts and shot lists may be in order, but by collaborating with a vendor that is familiar with the ins and outs of the process, you can agree on a schedule that isn’t too ambitious while still covering enough bases to capture the shots you need. This includes discovering which shots will work as both long takes (for demonstrations) and shorter snippets (for pure visual flare or emotional resonance), and building those into the schedule with multiple end uses in mind. This process will not replace all kinds of productions. Some very technical videos may take a long time to shoot, for example. Sometimes capturing just the right footage for high-level content takes a type of artistry that can’t be rushed. But for the right kinds of projects and with a well-thought out plan, creating multiple videos out of a single project can be a great way to maximize your investment in video production and ensure you’re talking to the right audience with the right message. 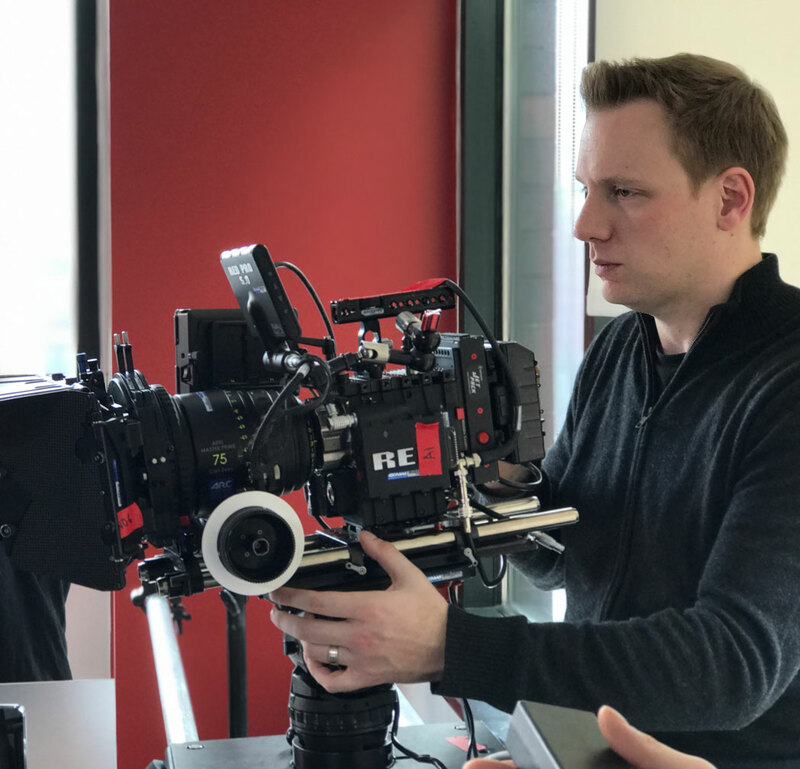 David McLeavy is an award-winning director at Flow Production and Post, a video production company in NYC that specializes in TV commercials and other branding video content.